Spiritual discernment is not telling GOOD from EVIL – it is discerning TRUTH from ALMOST TRUTH. We get ignored and we get “push back” – usually from “the leaders” — And it’s always interesting when you see their eyes “dart” and you begin to realize that they are looking for a way out of the conversation. If you changed the subject – would they listen then? They already are. 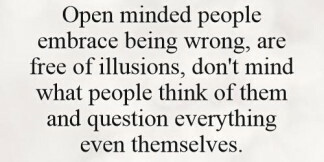 We are all born into the deception. Jesus tells them ahead of time that things will get rough – and here are the details of what’s going to take place. Don’t be afraid – the world will hate you but I have overcome the world. Jesus tells us many times – DO NOT FEAR. Because we are bound to have some fear – if only in the form of apprehension – of the unknown. But if you know ahead of time – it’s not unknown – right? People are going to FEAR – especially when we are smack dab in the coming tribulations. But if they know ahead of time what’s coming – they won’t be confused. A little fear could be useful when we need someone to move/act. On the other hand – fear combined with confusion is dangerous for everyone. If the source of your sin or temptations are from “voices” that you hear or other promptings, you are dealing with a demon – a person. If you are dealing with anger over something that causes you to commit sin – you are dealing with your “flesh” — You can crucify YOUR FLESH – you cannot “cast it out”. You can cast out a demon – but you cannot “crucify it”. We have come to a time when all of society – not just American society – but the entire world – has been conditioned to believe that SCIENCE and TECHNOLOGY have nothing to do with “spirituality” – and are therefore blinded to the truth that our spiritual battle is being fought within the confines that includes the sciences and technology. Our general acceptance of SCIENCE and TECH – blinds us to the ability to see how we are being hoodwinked into falling into satan’s plans — and the world of leaders in these areas that are following the ways of satan. I have written on numerous occasions about technologies that are presented as an answer to a great or potential problem. The fact is that most of our societal ills have been caused by the very same people who are providing the “solutions” – This kind of scenario is called: HEGELIAN DIALECTIC – Problem, Reaction – Solution – or – THESIS, Antithesis and SYNTHESIS. Our money is in fact a spiritual weapon that is used against us. Scripture tells us that “it is the love of many that is the root of all evil..” – But even as we are taught in our churches the truth of these aspects – very few are ever taught how our money actually works – or the fact that our money is A TALISMAN – a tool for spiritual affect and control.